As the Syrian civil war draws to a close, Syrian president al-Assad is a Russo-Iranian puppet presiding over a cantonized and occupied country. Only a few years ago, Western and Israeli “savants” in the mold of Barack Obama and ex-Israeli PM Ehud Barack were confidently writing Bashar Al-Assad off the world stage. History has since proven them wrong. Or has it? It appears that the choices available to the Syrian strongman as the Syrian civil war unfolded, did not include one where he would remain the dictator of a territorially whole and independent Syria. Rather the choices the facing him were the surrender of his post and continuing his life in exile while Syria held a free elections and, with Western help became a force for good in the Middle East, or remain in power as the puppet of the Russians and the Iranians and preside over a Syria that is only ostensibly united and independent, but in reality is a conglomerate of ethnoreligious enclaves and extraterritorial entities controlled by its Russian and Iranian overlords. 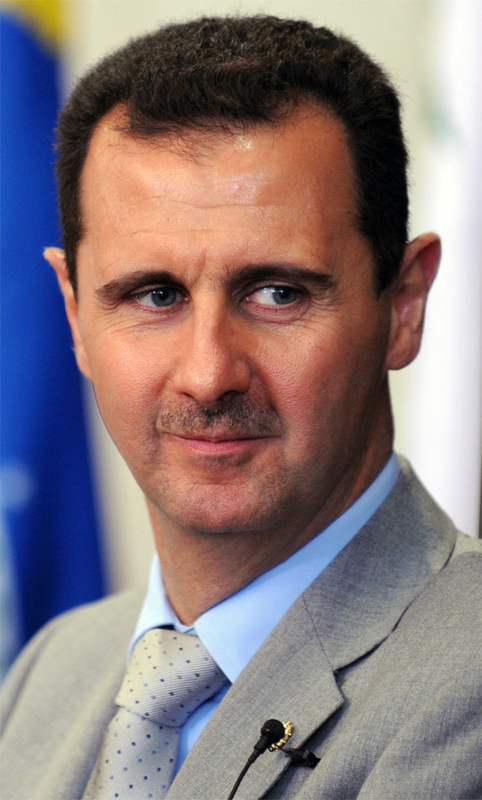 It is now clear that Assad has chose the latter path, preferring his ego over the good of his people, though in truth had he stepped down from power, his minority Allawites (a religious subgroup of Shia Muslim Arabs) would have been slaughtered by the majority Sunni community whom it has long oppressed. Post civil-war Syria will be carved into cantons of Druze, Kurds, Sunnis, and Allawites, with large swaths of it controlled by Iran or their Lebanese proxies the Hezbollah and the Russian Federation. Assad’s power, if any will be severely curtailed, as it will be abundantly clear that his throne is propped up on the tips of Russian and Iranian missiles. More in-depth analysis is available in Al-Bawaba.